The man has not been identified since the incident in May. This image of the man was taken by a CCTV camera inside the bus. POLICE IN LONDON have released a new image of a jogger who pushed a woman into the path of a bus earlier this year. The incident happened on Putney Bridge on 5 May and police say they are yet to identify the man who pushed the woman. Two men were previously arrested in connection with the incident but both were released without charge. Metropolitan Police have now released a new CCTV image of the suspect that was taken from within the 430 bus which nearly hit the woman when she fell onto the road. The suspect is believed to be aged in his 30s. In the incident, the 33-year-old victim was walking across the bridge heading towards an underground station when the jogger knocked her over. About 15 minutes after the incident, the jogger came back the other way across the bridge. The victim tried to speak to him but he did not acknowledge her and carried on jogging towards the north side of the river. When a video of the incident was released by police last month, it was shared widely but it has not led to the man being identified. “Images of this alarming incident have been circulated widely and we continue to work through the information received to identify the man responsible,” Detective Sergeant Chris Griffith said today. Email “Police release new image of jogger who pushed woman into path of bus”. 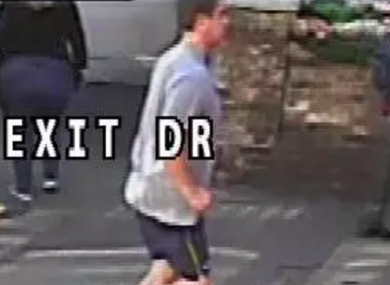 Feedback on “Police release new image of jogger who pushed woman into path of bus”.